Super Flat Francis Squadra Blue Need Help? 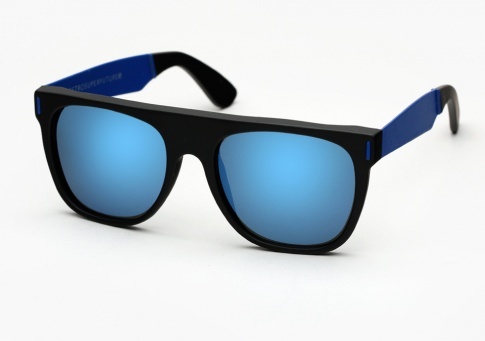 Super's classic Flat Top shape with a matte black frame front paired with blue arms and matching blue mirrored lenses by Zeiss. The arms have a rubberized coating applied, in order to guarantee comfort and protection during extended, active use.